Offering you a complete choice of products which include heat ex-changer for fluid bed dryer heaters and heat ex-changer for fbd dryer heater. We are engaged in manufacturing Fluid Bed Dryer Heaters, which is made using quality raw material. Our range is fabricated as per the set industry standards and can be customized in terms of shapes and sizes as per the requirements. They are checked on various parameters to deliver a flawless range. We are counted among the reputed business entities, engaged in manufacturing and supplying a qualitative range of FBD Dryer Heater. The provided heat exchangers are manufactured by our highly experienced professionals using the modern technology. 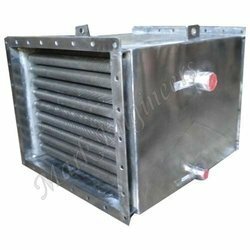 Offered heat exchangers are widely demanded by our precious clients owing to their high efficiency and long working life. 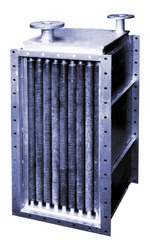 Furthermore, clients can avail these heat exchangers at most affordable prices. Note - Heater cost depends on size and materials of heaters. Looking for Fluid Bed Dryer Heater ?